We are a mainly diversified practice with full x-ray facilities and a gait scanner at your disposal. Located in the heart of Leamington Spa, ahem…ROYAL Leamington Spa, you will be working in the place voted The Best Place To Live in the UK. Come and join our wellness clinic in Richmond. 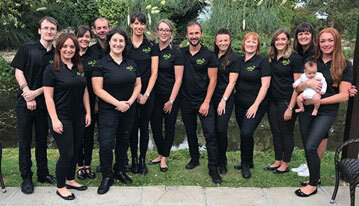 We have a great opportunity for an associate to join our happy and inspired practice We are based in leafy Richmond Hill, just 25 minutes from central London. We understand the importance of working in a supportive environment and believe in evolving and reviewing. We have built a very positive reputation locally and receive a high number of clients from Richmond and beyond, largely due to our excellent google reviews and successful marketing campaigns. The successful applicant must be friendly, approachable and able to work as part of a team as well as independently. We operate a semi-open plan style clinic and offer high-tech scans, and x-ray facilities. Starting salary £2,000 per month with sliding scale percentage option. Send your application and covering letter via email to contact@healing-hands-chiropractic.co.uk and check out our website www.healing-hands-chiropractic.co.uk for further information about out clinic. We have a fantastic associate opportunity available. 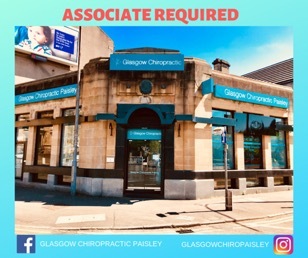 Due to the demands of new patient numbers Glasgow Chiropractic Paisley is looking to hire an associate. Take over an established patient base and build quickly to start seeing 50+ patients per week, with huge potential to grow further, many patients are long-term, well-educated wellness patients. 10-15 new patients a week. Strong manual adjusting skills and willingness to develop further. New graduates and experienced Chiropractors are welcome to apply. Send your CV and covering letter to ronan.murray803@gmail.com. Spinecentral has an opening for an associate who wants to master their craft and truly deliver on the promise of rebuilding bodies and restoring health. We have a great reputation for delivering outstanding results with a combination of AK, ABC and lifestyle solutions. Our goal is to help you to quickly develop enviable adjusting skills and produce predictable and consistent life-changing results. You will also master communication and gain ample business skills to hit the ground running when you’re ready to leave. The position is employed with the opportunity to earn 80k+ p/yr. Support, training and high-level coaching provided every step along the way. We benefit from being close to the countryside as well as the bustling city and incredible transport links that take you anywhere in the world. If you want to become elite both on and off the bench, then this is the opportunity for you. New graduates welcome. CV and Cover letter to richard@spinecentral.co.uk. Are you looking for a great working environment of established clinics to develop your skills? Are you looking for a great supportive team of like-minded caring professionals that are there to help you when you need it? Are you prepared to put in the time and effort for great rewards? We have two established clinics with 9 team members and over two decades experience collectively in health care. We are dynamic and expanding always looking to improve ourselves and the care we provide. If you are interested in finding out more please call us on 01277631025 and send your CV to ying@thechirocentre.com. 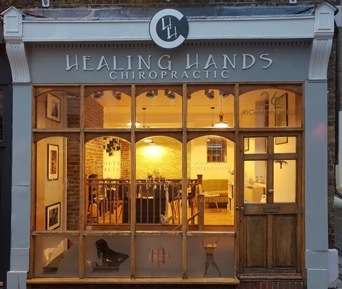 Urgently looking for a keen, enthusiastic chiropractor to join our busy expanding clinic, where I am currently unable to meet patient demand, due to a shortage of chiropractors. We are based in lovely Mid Devon, 25minutes to beautiful beaches. Position is percentage based, offering a long weekend every other weekend. Please forward covering letters and CV to info@simmondschiropractic.co.uk. With five clinics across SW London and a rapidly expanding team we are always on the lookout for people to join us. We have a great mix of UK, North American, European and Antipodean chiropractors and would love to meet you if you think you have something that could add to our clinics. Sometimes there is an opportunity to take over an existing practice, other times we can work with you to build a practice from scratch. Send relevant work experience (not limited to Chiropractic) and anything else that will make you stand out to luke+jobs@chiro.london. Extra effort and personal touches are welcome. Looking for experienced chiropractor to take over 20year old clinic with a huge archived patient base waiting to be re-activated. This clinic is run by 2 experienced chiro’s who also run another 3 clinics by-themselves so don’t have time or energy to get clinic to its full potential. The clinic is Monkseaton Chiropractic, centrally located on the beautiful Northumberland coast, close to the lively Newcastle city centre. The clinic is seeing 80-115 patients a week with 4-7 new patients per week. The chiro will access to digital X-ray. Chiro would would be on 45% of services with 50% over an agreed amount as a bonus with 25k retainer. There will be a hand over period to ensure minimal patient drop off. The Medical has sites across the country, and we want you to come and join our team of expert chiropractors. Our aim is to help our patients live healthier, happier lives through exceptional chiropractic care and we’re looking for chiropractors to join our expanding team at multiple sites. Each position will require the individual to be motivated to develop themselves and their clinic within The Medical and support the excellent team around them. 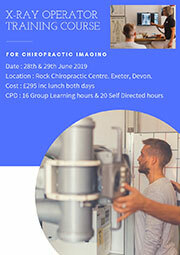 We will give you the tools and the freedom to do this, whilst benefiting from the expertise and support of a larger nationwide team of chiropractors. The Medical provides an exceptional mentoring and CPD programme, along with personal coaching and exclusive monthly CPD seminars. Our in-house support team will help you benefit from a consistent flow of new patients. Please contact Anna on 01174281382, HR@themedical.co.uk. One of our chiropractors, who has been with us for over five years, is reducing their hours. We therefore have an exciting opportunity to join our team and to take over a large established client base. We welcome applications from experienced chiropractors or new graduates and mentoring and support is available. 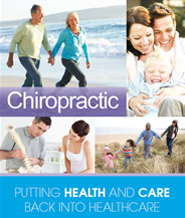 Chiropractors at the clinic are given the freedom to treat in a manner that suits them in a relaxed, friendly setting. Come and join our wellness clinic in Kent. We have an great opportunity for an associate to join our happy and inspired team. 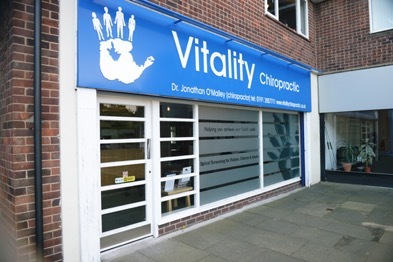 We are based in leafy Chislehurst, Kent just 25 minutes from central London. We understand the importance of working in a supportive environment and we love mentoring our passionate team to achieve their goals. We have a thriving busy patient base and will ensure that you have the opportunity to build yours as well. Want mentoring from experienced, inspired chiropractors. Are a team player who loves to get involved. Want GCC and association fees paid. Want to work in a large refurbished centre, with computerised notes, x-ray facilities and purpose built class space. Send your application and covering letter via email to emma@chislehurstchiro.com and check out our link www.chislehurstchiro.co.uk/kickstart for some great information to get you started. The Back Pain Centre in Bournemouth is looking for a confident, hard-working, enthusiastic chiropractor to join their expanding team. The practice style is very biomechanical with a common sense philosophy of engineering meets medicine. A great emphasis is on spinal & extremity adjusting with rehab/strength and conditioning exercises. The clinic has Shockwave, Laser, Rapid release machines and ultrasound. The patient base is a mix of all community members but a keen interest is taken in treating athletes. The position will start as part time Wednesday and Saturday, with the option to build up to full time with flexible working days/hours. The successful applicant must be friendly, approachable and able to work as part of a team. 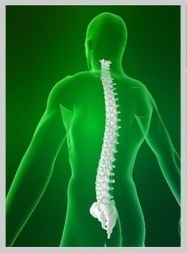 Experienced chiropractors of 3 years+ preferably and must be confident and competent diversified adjustors. The clinic has a high number of new patients and a very good reputation locally. Maternity cover needed in West Sussex near Brighton for minimum of 9 months to take over established practice of equivalent 4 days a week. Started beginning of June. 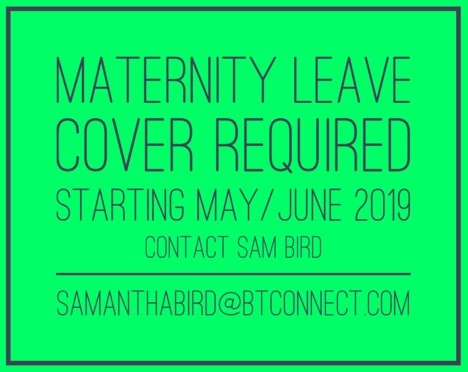 Please contact Sam Bird at Samanthabird@btconnect.com. 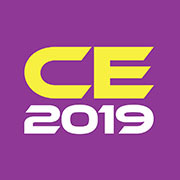 * Incredible international (paid-for) conferences! Email me on jemma@albaclinic.co.uk for more information! Is this how you feel about your current job? If not, would you like to? Are you graduating and looking for a great position to develop your career? If the answer’s yes, great! Now’s your chance to join our expanding team! We’re offering a full-time position, competitive salary and achievable bonuses, expect to earn £35k – £40k in your 1st year. GCC and association fees paid! We provide excellent, ongoing support and mentoring, giving you the tools and confidence, you need to build and sustain a flourishing patient list. 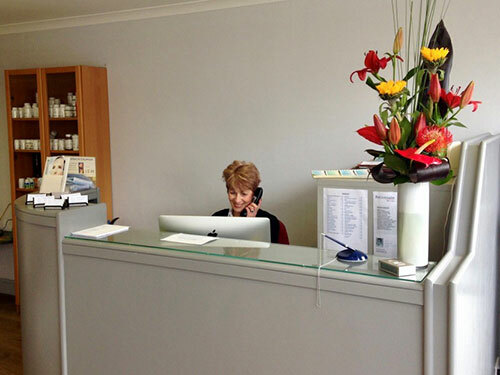 The team consists of chiropractors, osteopath, sports massage therapists, and full time front of house. Our fantastic Practice Manager keeps the practice running seamlessly, so you can focus on caring for your patients. We’re located in the historic city of Chester, Liverpool and Manchester airports less than an hour away, and stunning North Wales countryside on the doorstep. 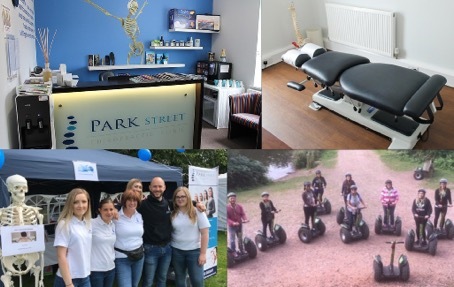 Moose Hall Chiropractic is a thriving, patient centred Practice currently based in Portishead it has grown very quickly into an extremely successful Practice based on their offer of the highest standards of Chiropractice service – and a strong, proven marketing strategy. 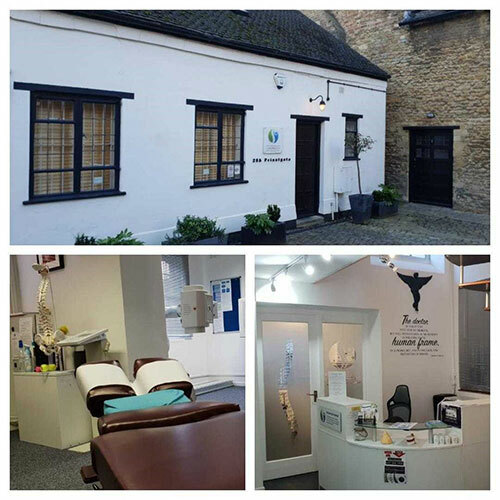 We are now expanding with the opening of a brand-new Practice in the centre of Chippenham. We are recruiting for an energetic, motivated, Associate to take the lead role in this new business, leveraging our existing knowledge, patient experience and marketing know-how to make a success of it together. This is a fantastic opportunity for a motivated Chiropractor to be an integral part of a brand new Practice and to influence the development, culture, scope and direction of growth. You will be joining an experienced and friendly team, providing all the help and support you will need, allowing you the space to create the perfect Practice for you to grow and prosper. We are currently looking for a motivated chiropractor to join our expanding team (currently 3 chiros). Excellent opportunity to grow with full marketing support and 1 to 1 training from principal chiro. Also, the potential to be involved in a local satellite clinic within a business centre (1500 people onsite). Guaranteed base salary with associated sliding scale pay structure. A full-time employed position – with an excellent work life balance! YOUR NEW DREAM JOB IN SOUTH MANCHESTER! Transition from University/failing practice to a successful Chiropractor, with our full training package. Guaranteed results. A friendly, family practice with a 26 year history. Supportive team with 7 receptionists and 4 Chiropractors. Team events help us work together and provide a positive environment. Come visit and compare us to other clinics or apply now. Email us. 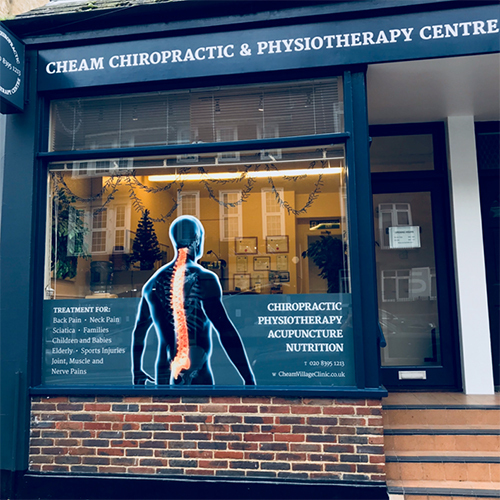 We have fantastic associate positions available at our two thriving clinics in East Sussex – Uckfield Chiropractic Clinic and Hailsham Chiropractic Clinic, both of which are the longest established clinic in each town and each has a loyal and growing client base. Both clinics are multi-disciplinary, primarily focused on patient centred chiropractic care. The clinics both also house podiatrists, sports and hot stone massage therapists and reflexology practitioners. We are looking for friendly & enthusiastic chiropractors, who are willing to learn and be guided by the experienced associates on our team. The successful applicants will take on part of the existing patient bases at each clinic and will benefit from a strong referral stream, clinic sponsored advertising and great support from the welcoming clinic teams. The roles are suitable for either new graduates or experienced chiropractors; and payment is offered on a percentage basis, dependent on experience. If you are interested in the position please contact Katie Beckett at uckfieldchiropractic@gmail.com or call the Uckfield clinic 01825 744100. We are excited to offer a great opportunity for an enthusiastic, friendly and wellness focused associate to join our rapidly growing clinic in Ashford, Kent. Ashford is one of the fastest growing towns in Kent. Currently there are 127,000 residents, which is set to increase by another 30,000, to 150,000 by the year 2030. You will be helping to grow a busy practice, taking on the lions-share of new patients as well as covering some of the Principles’ own client list. Marketing strategies will be extensively utilised in order to start you off with a busy schedule, and you will be fully supported by our team of experienced CA’s. We will help you with your GCC fees, UCA fees and training seminars in your first year. This position is for a full-time, self-employed associate. Your pay will be percentage based and will be directly related to your clinical experience. If interested: Please forward your CV, and covering letter to patients@ashfordfamilychiropractic.co.uk marking it FAO of the Clinic Manager – Ms Sandra Lane. We operate 2 clinics in the Wickersley and Ravenfield areas in beautiful South Yorkshire. We want someone incredible to join us on our exciting journey! We are passionate about helping people get the most out of life by giving their body the support it needs to function at an optimal level and allowing them to live the way they want! We have dedicated, knowledgeable, and just generally awesome, Chiropractic Technicians and Chiropractic Assistants. Are we floating your boat? Email manager@gooselaneclinic.co.uk or call 01709 739293. 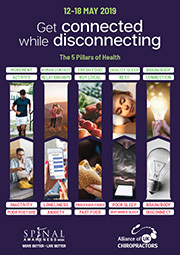 Learn how to have a great work/life balance & how to get busy and stay busy! get a great start/continuation to your career. Do you love your patients? Would you like to practice with less stress? And enjoy a superb quality of life whilst having fun? We are looking for ambitious chiropractors to join the Willow Chiropractic team in Bristol, UK. All levels of experience welcome; we have a proven track record of helping chiropractors succeed. We have beautiful clinics; an honest, ethical, supportive environment and lots of new practice members waiting to be served. Systems are in place to ensure a fantastic work/life balance and great pay. 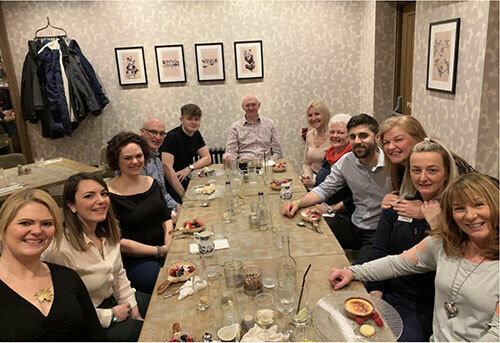 Don’t take our word for it – come and meet our team. 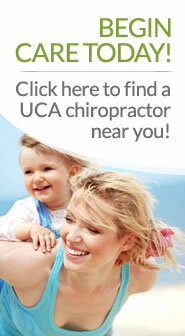 Lushington Chiropractic is a lovely, caring clinic in East Sussex: seaside town; great schools and outdoor activities. Experienced Chiro? Enjoy an efficient, highly organised clinic with over 10,000 Pt on our books. We encourage a work-life balance, but there’s opportunity to work hard earning over £80K. New Grad? PRTS, weekly 121 mentoring/support. Great team to help you settle into practice. Contact James Revell on 07830 107558 or drjrevell@hotmail.com more info on website. A self-employed position is offered for a new associate to join our team. GCC, BCA/UCA fees will be covered in the first year. A patient base of approximately 60-70 patients will be available starting in August 2019. Extensive training will be given regarding communication, focus and retention. You will also be able to learn chiropractic neurology from a DACNB. Other techniques used are Activator, NIP, diversified, AK. The Clinics have onsite digital x-ray facilities and an employed chiropractic nurse who sees each NP to assess their BP, BMI, SEMG & Thermography. We have just secured 2 NHS contracts and need your help as we are already turning away new patients every week. We have a cutting-edge holistic ethos which means applying the biopsychosocial model using mindfulness and body psychotherapy techniques along with standard chiropractic protocols. Ideally you should be able to show some commitment to our holistic ideals, but it is more important that you have your own area of passion/interest and desire to carve out your own niche. Mentoring and training is available. Payment is on a sliding scale. We offer a retainer to get you started. Current chiropractor re-locating after 8 years service. Work as the only chiropractor as part of a multidisciplinary team including Podiatry, Gait Analysis and Sports Therapy. Excellent inter-professional referrals, steady stream of new patients. 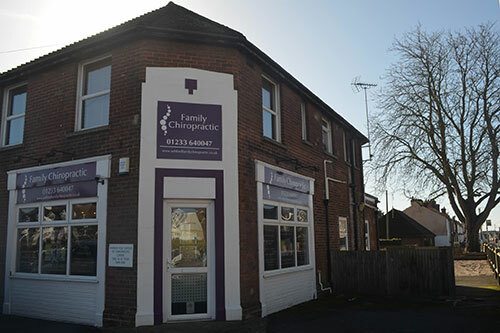 Friendly, and family focussed Clinic established in 2008 on main arterial road with plenty of parking opposite. Current patient numbers 75-85 per week with very little advertising. Gross self employed salary approximately £65k, opportunity for further growth. Long term permanent position for years to come available. Please contact cazalisdemorian@gmail.com on email only during the day with your details and contact number for us to call you back. Hands on Health Clinic requires a professional & motivated Chiropractor to join our expanding clinic. If you are passionate about chiropractic care with excellent clinical & communication skills we want to hear from you. The successful candidate will enthusiastically maintain an existing patient base, whilst growing their own. We are a multidisciplinary clinic including Massage Therapists, Sports Therapist, Counselors & Hypnotherapist who liaise to ensure patients receive the best care. Our Chiropractors use primarily diversified technique, along with needling, blocking & soft tissue techniques. The current position is available immediately with flexible hours covering 4+ days a week. For further details send your CV & cover letter to. High Volume Associate Position – IMMEDIATE START – in Marvellous Marlow! We have a desirable, full-time chiropractic position available in a prestigious clinic with a long-established client base as well as a high influx of new clients through our innovate and in-tune marketing schemes. Our passion and drive is simply service; to positively affect the health and well-being of our surrounding communities. You would be part of a friendly, positive and supportive team with an opportunity to develop yourself professionally as a practitioner and grow personally to become the highest version of YOU! Inspire. Serve. Grow! Applicants should preferably be eligible to register with BUPA. If you would like to find out more about this position and come to meet the team, please send your CV to q.hohls@halsagroup.co.uk. Do you want to just ADJUST patients and not have to worry about New Patients, reports, talks or screenings at the weekend? Want to have 10+ new patients each week already processed for you and ready to be adjusted under your care? Are you looking for a role where you can grow? Do you want to learn a system that produces reliable and consistent patient outcomes? Work in a clinic with a proven marketing strategy to provide streams of new clients with systems to increase retention? Great work life balance in leafy Surrey with easy access to London in 25 minutes. Minimum guaranteed first year salary of £40k plus clear bonus structure in place. All insurance and GCC fees paid. Weekly technique coaching with principal Chiropractor who is a qualified AK practitioner as well as trained with Piet Seru and Jean Pierre Meersseman. Clear achievable targets to progress within the practice. Associate Chiropractor Required for Well Established Clinic in London/Surrey border with large existing patient base to take over. Immediate start preferable. Busy clinic established 1990 with huge patient base to take over, flexibility on clinic days. This role will be busy from the start. Experience beneficial but not essential. We are mainly a diversified clinic but welcome other skillset as our team also include a physio and friendly reception team. We are looking for a superstar Chiropractor! 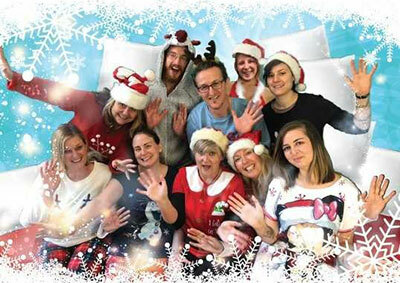 Do you want to be part of an exceptional vitalistic chiropractic team in London? We are looking for a new superstar chiropractor to join our world class practice. Situated in Fulham, a very affluent area of southwest London, in close proximity to both Chelsea and Fulham football grounds as well as Michelin starred Gastro pubs. No need for experience, although a plus, just the willingness to learn and become a superstar chiropractor. We have over 20 years of experience to share with you. If you are a confident communicator with an ambition to become a great vitalistic chiropractor we are looking for YOU. Working closely together, you need to be a team player. You will be on a percentage based pay with earning potentials of upwards from 40k per annum. Regular marketing procedures are in place with expected participation from the chosen candidate. 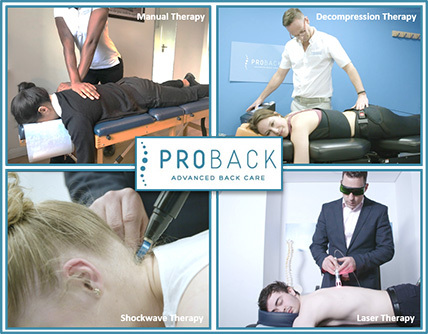 ProBack are an expanding group of clinics using a progressive combination of cutting edge technology combined with traditional hands on skills. We have an exciting opportunity for a Chiropractor to join an integrated therapy team that includes Chiropractors, Physios & ST’s. New starters will be considered happily with GCC/association fees paid. If you feel you are ambitious and motivated enough to join one of London’s most advanced back care clinics; please send your CV to K.forward@proback.co.uk for consideration for interview. 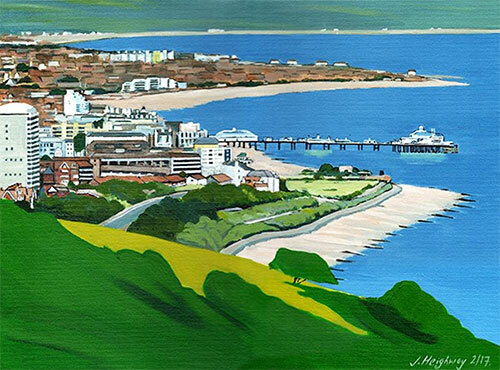 Diversified chiropractor for maternity cover with the possibility of associate position in sunny seaside resort, Hove. Based in a very busy gym, the position is for someone hard working with a friendly, positive attitude in a no pressure environment. 50% take-home with possibility to increase. Enthusiastic, patient, focused, self-motivated associate chiropractor required for a long-established clinic in Manchester. Female preferred. Primary techniques are diversified and activator. Post is suitable for a new graduate or experienced chiropractor. Please send C.V. and cover letter to mccreception@hotmail.com. Looking for new team members to develop a full list with support in our busy expanding clinic. Modern practice in the heart the of city with digital X-Ray suite and 3 adjusting rooms (2 open plan). Tiered % based earning potential.